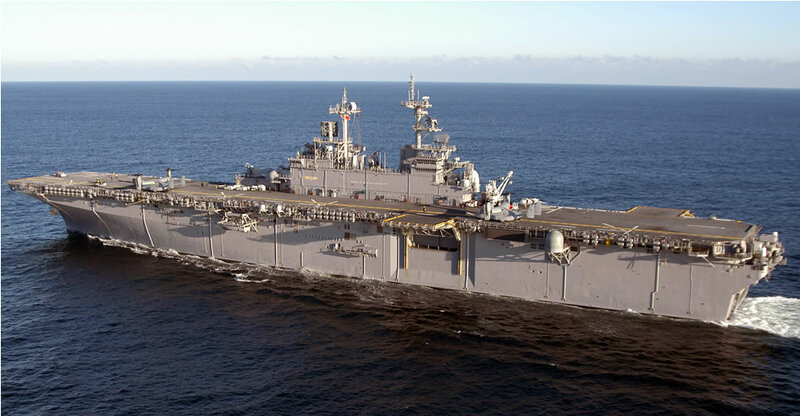 NORFOLK, Va. (NNS) -- Nearly 1,300 Sailors on the amphibious assault ship USS Wasp (LHD 1) left Naval Station Norfolk Aug. 25, for a surge deployment in support of the ongoing Joint Task Force Lebanon mission. A detachment from Mine Countermeasure Squadron (HM) 14, Assault Craft Units (ACU) 2 and 4, and a Fleet Medical Team left with Wasp to support a Request for Forces (RFF) from European Command. Wasp will deploy to the Eastern Mediterranean to provide support to the American embassy in Beirut and Department of Defense (DoD)-approved humanitarian assistance efforts. Crew members aboard Wasp had very little notice before preparing for the deployment, but have confidence the ship is well equipped for the mission.